My experience with Urban Home Builders was the best custom home building experience I have ever had. When looking for a builder it was paramount to me to find a person whom I could trust since the last experience I had was beyond terrible. Gary is honest, reliable, hard working and his attention to detail is superb. His customer service is unbelievable! I was always able to get in contact with him and he responded to my calls and requests almost immediately. I have a beautiful custom home that I love and its appraised value right after finishing construction was significantly higher than its cost. I first contacted Urban Home builders when I was in the process of purchasing a property and Gary provided me with valuable insight as to location, lot purchase price, and size of house I could build. He spent a great deal of time educating me about green building and the building process in Austin, all of which was done before he was even hired. Urban Home Builders gave me a recommendation for an architect that I couldn't have been happier with and then they worked with me during the design process educating me about different building options and pricing. It was very important to me to maximize value and minimize price. Building in the city of Austin can be challenging at times and Urban Home Builders was awesome at being able to navigate the project through the process. No matter how much planning and preparation is made prior to construction issues will arise during construction and Gary dealt with them efficiently and effectively. There were a couple of times that I was afraid that I had made some terrible selections (i.e. color, size, style, etc.) and Gary quickly alleviated my worries and we were able to work it through so that my end product matched my vision. 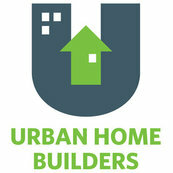 I highly recommend Urban Home Builders to anyone desiring to build a custom home in Austin. If you have any further questions about this builder I am available to discuss them with you, and do not hesitate to contact the builder for my phone or email.